It was a race of firsts as European champions Pavel Andreev and Borghild Lovset capped stellar seasons to win their first World Championships at the first ITU World Championships in Finland. 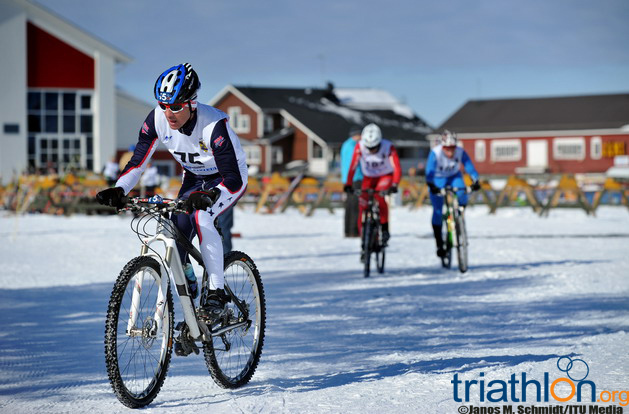 The small town of Jämijärvi, 250km north east of Finnish capital Helsinki, was the idyllic setting for the Winter Triathlon World Championships. 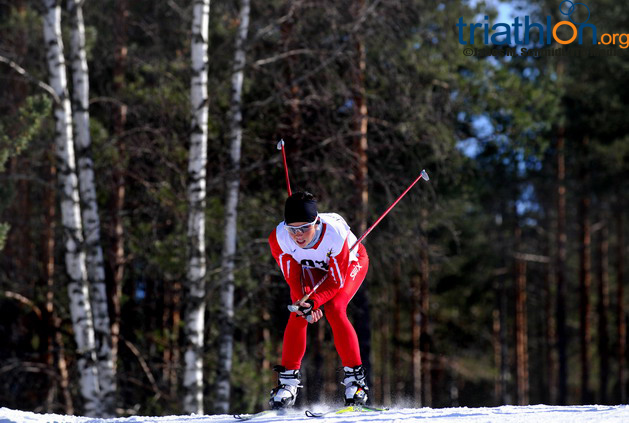 Elites, U23, juniors and 79 Age Group athletes contested the season finale in beautiful conditions with clear skies, gusty winds and temperatures of minus ten Celsius. The Elite and U23 men kicked off the event, and it was a highly anticipated battle between defending world champion Andreas Svanebo, the ever improving and current European champ Pavel Andreev, two-time world champions Sigi Bauer and Arne Post and consistent performer Italian Daniel Antonioli. At the end of the 6km two-lap run Andreev, Kuzmin and Lavrentyev entered transition with a slim lead over a chase group of eight athletes. The chase included all the pre-race favourites, apart from Bauer who had dropped over a minute back. Andreev and U23 athlete Kuzmin pushed hard together on the bike for the first lap of four, dropping Lavrentyev. From here Andreev seized the initiative and broke away to lead by 80 seconds coming into T2. Kuzmin dropped back to the chase pack of Svanebo, Rothberger and Sigi Bauer who pushed hard during the bike to move back into contention. Andreev lead for the entire ski but did well to hold off the fast moving Norwegian Post who obliterated the field moving from ninth to second, but narrowly failed to catch Andreev at the line. Young gun Maxim Kuzmin of Russia hung on to come fourth overall and took out the U23 World title by over 2 minutes. In the women’s race home favourite Maija Oravamaki thrilled the fans with an exciting lead at the end of the run. Oravamaki was followed into T1 by a group of five including favourite Sarka Grabmullrova of the Czech Republic as well as US athlete Emma Garrard. During the bike discipline Oravamaki slipped down to third with Norwegian Løvset powering through the filed from eigth to lead by a whopping three-minutes coming into T2. Grabmullerova positioned herself well after the bike in second but was unable to put a large dent in Løvset’s lead. Løvset hung on to win her first World title, Grabmullerova second and Oravamaki third to the delight of the fans. ITU President and IOC Member Marisol Casado was in attendance to crown the new champions and was full of praise for the local organising committee, who had to deal with some particularly difficult weather conditions in the days leading up to the event. 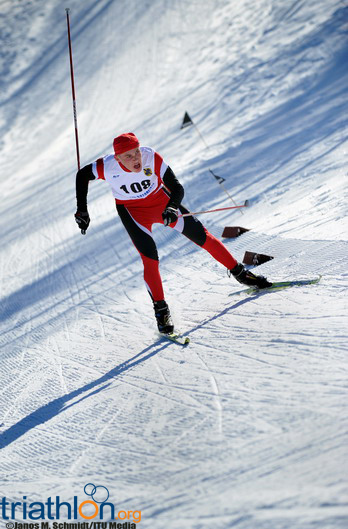 “The race was excellent and the athletes were happy. In Jämijärvi we were able to see the simplicity of Nordic design applied to our event” said President Casado.